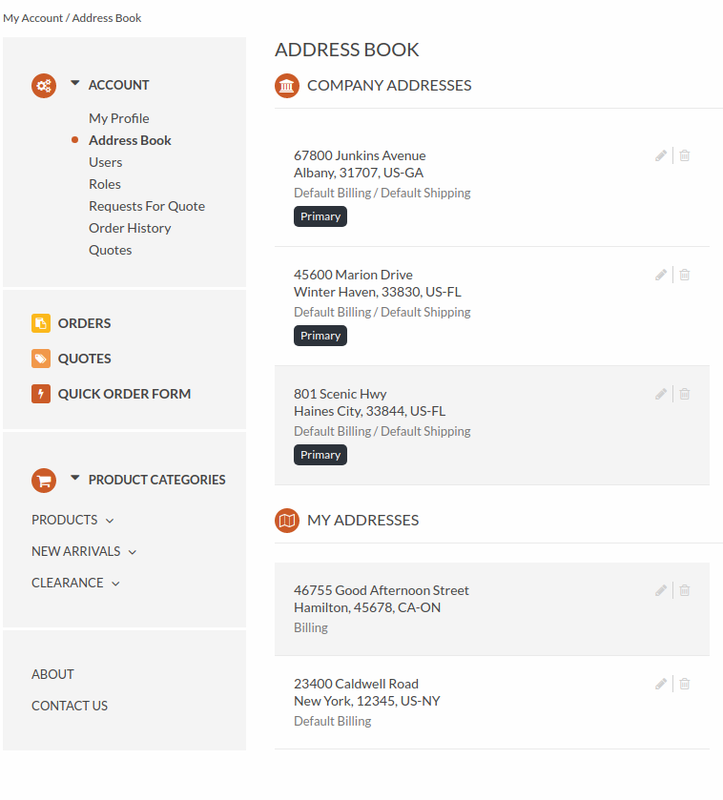 The following information covers the Address Book section of the Account menu in OroCommerce storefront. Under Account, Click Address Book. Click +New Company Address on the top right of the All Company Addresses list. To make the new address primary, select the Is Primary Address check box. 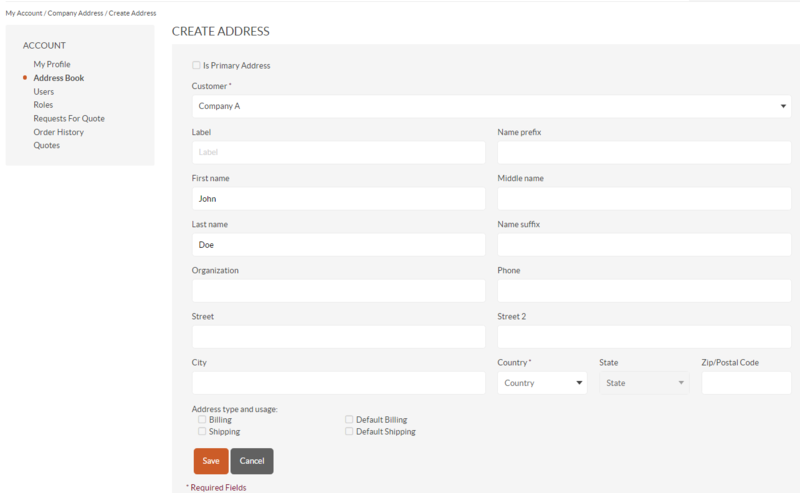 The Is Primary Address check box appears only when you already have at least one address in All Company Addresses. If you adding the first address, it will become primary by default. Click +New Address on the top right of the All My Addresses list. The Is Primary Address check box appears only when you already have at least one address in All My Addresses. If you are adding the first address, it will become primary by default.